Lena Herzog presents slides from her recent work Lost Souls and previews her latest work Light Matter in a conversation with Pulitzer Prize winner David Turnley. Herzog’s portfolios have appeared in The New York Times, The Paris Review, and Harper’s among other publications. 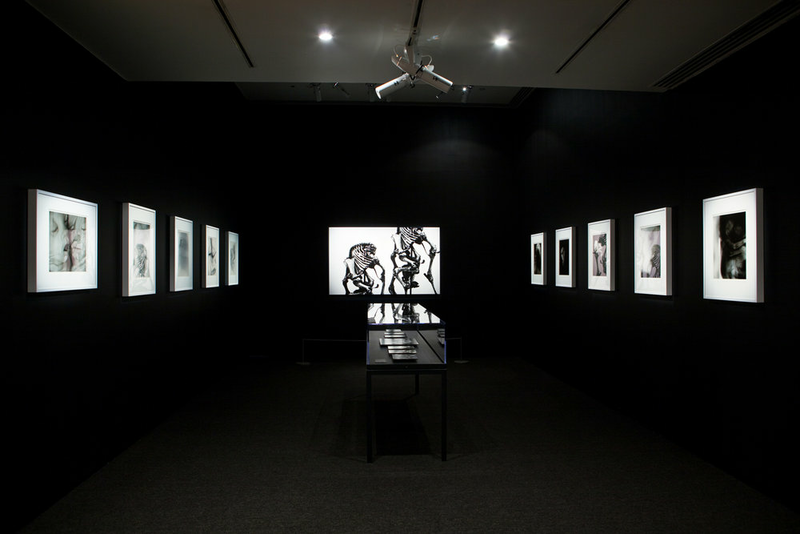 Lost Souls recently exhibited at the International Center of Photography, documents museum artifacts of human and animal anomalies inspired by Tsar Peter the Great’s collection in Russia’s Kunstkammera. Though sometimes shocking, the photos are also “profoundly humane” writes Luc Sante in his introduction to the Lost Souls book. Two fascinating and complementary portraits of the same phenomenon, “Two years after…” is a disturbing trip into the dark sides of the American Dream. Last summer, Angelino photographers Marc Valesella and Lena Herzog took the road towards opposite directions: Herzog went to Washington DC to document the Restore Honor Rally, while Valesella captured Arizona’s SB 1070 protests. They both had the same idea in mind: to document political rallies, as a symptom of the peculiar social and political climate that defines our present, two years after the historic election. Multimedia show, which included projections of 33 images onto a large screen.